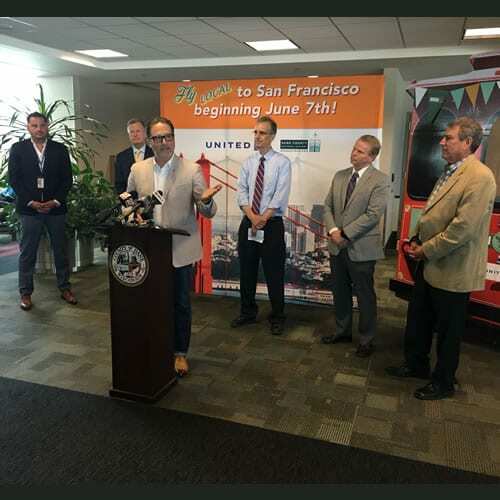 Madison, WI – The Bay Area is now a non-stop flight away for business and leisure travelers throughout Dane County and south central Wisconsin thanks to United Airlines’ launch of daily non-stop, year-round service to San Francisco today. 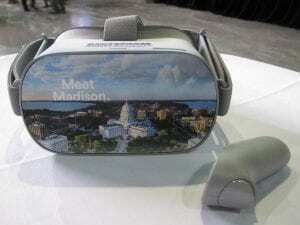 Flights will depart MSN daily at 3:11 p.m. on an Embraer E-175 aircraft featuring two-class service, AC power ports, larger over-head bins that can accommodate full sized carry-ons, and Wi-Fi. 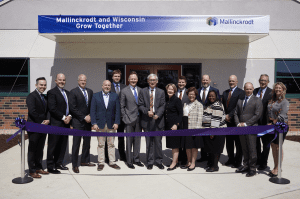 The Dane County Regional Airport provides seamless, low-stress, and affordable options for both leisure and business travelers with more than 100 daily arrivals and departures. Nonstop service to 15 cities provides access to nearly every worldwide destination.